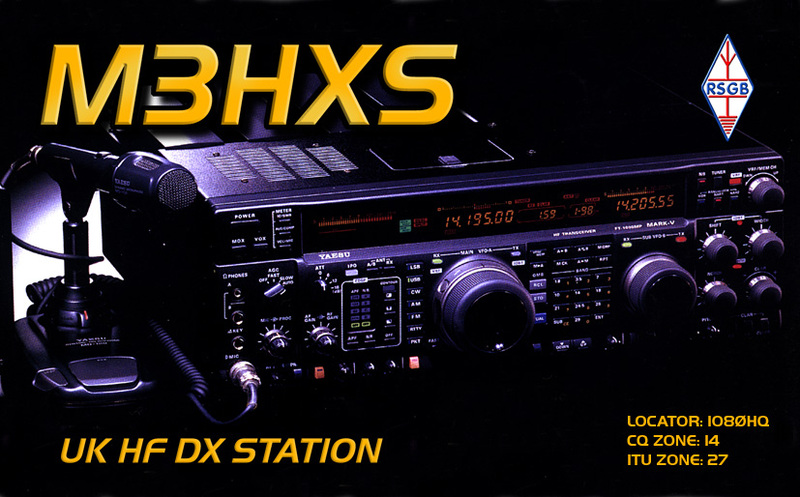 Welcome to the Amateur Radio website of Matthew Alan Campbell M3HXS. I am located in Devon, Approx 3 miles southeast from the city of Exeter. My interest in radio started with my parents old PYE clockradio which I used to connect a piece of wire to the aerial connection and spend hours tuning and listening to Local / Worldwide radio stations, this opened up a whole new world to a ten year old. In the late 1970's early 80's CB radio became legal in the UK and my family bought me a NATO 2000 I think the model was as a Christmas present, from then I became totally hooked listening and making contact with friends in the area and when conditions were right I made contact with CB stations in Scotland, Germany, Channel Islands, Holland etc etc wow I could not believe I could get that far. In time all the family (my wife & two young sons) participated in making contacts with the radio which they all really enjoyed. Whilst living and working in the Scottish Borders I read on the internet that a new licencing scheme was running for Amateur Radio. I found that the nearest club running courses nearest to my location was the Cockenzie & Port Seton Amateur Radio Club. I registered for the Foundation course in the October of 2004. Thanks to Bob GM4UYZ & Cambell MM0DXC of the CPSARC for all their help and assistance and also making radio fun for all ages. Please visit the Cockenzie & Port Seton Amateur Radio Club website which is on my links page, this is one of the best sites I have come across to date and does deserve recognition. My way of relaxing is to go into the radio shack when I can, especially with a cuppa and listen to any stations on frequency and possibly make contact with individuals or contesting stations. The buzz I get when a contact is made, be it, near my location, Homebase or Mobile within the UK or Worldwide is the greatest feeling of achievement which I believe any Amateur Radio / SWL enthusiast would agree. My intention is to go mobile this summer on Dartmoor or Exmoor with my HF radio (Yaesu FT-857D) and also with the Yaesu VX-7 50/144/430 MHz Handheld and see what contacts can be made. If you hear me calling on HF or VHF / UHF please make contact. Good Health, Good Luck, Happy Radio.